Please fill out the following form to enter your video in the contest. If you encounter any issues, contact director@fallscityedge.com. Additional Student Contributors: (Please include name and grade level)**Group projects may have contributing students; however, only one student may submit the entry. Please submit one positive quote that explains why you are #fallscityproud. 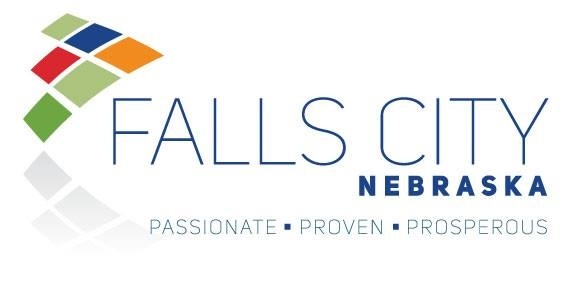 I understand that by submitting a video, I am giving Falls City EDGE full access to share, reproduce, and/or exhibit the videos without restriction, notification, or compensation. I also understand that if I am chosen as a finalist, I will be required to complete and return the Media Release Form, which must be signed by my parent/guardian. I understand that failure to provide this form is grounds for disqualification. By checking this box, I confirm that I have read and understood the Contest Rules and that my video is original work and does not contain any plagiarized information. I understand that plagiarism is strictly prohibited and will result in immediate disqulification. All entries must be digital video. Each entry must focus on why you are #fallscityproud and also include your favorite place, job, memory, mentor, etc. Students may work together in groups but must be submitted as a single individual person’s entry. The Scholarship will be awarded to a single individual person. Duplicate entries will not be accepted. The length of the video should be between 30 and 60 seconds. All information presented in the video must be cited, giving credit to original source. Plagiarism, violation of copyright or other unauthorized use of intellectual property of any kind will result in disqualification. We reserve the right to disqualify any entry based on inappropriate content. The Judges’ decision is final and based on points awarded from the judges rubric. Entries must be submitted via the www.fallscityproud.com website starting on June 1st, 2018. The deadline for submissions is 5:00 p.m. CDT on Saturday, August 11th, 2018. Late entries will not be accepted. Winners will be announced no later than August 17th. Content must comply with all local and national laws of the country of origin and the United States. Content must not 1) Promote illegal behavior 3) support racial, religious, sexual or other invidious prejudice 3) Advocate sexual or violent exploitation 4) violate rights established by law or agreement 5) invade the privacy of any person or 6) be otherwise inappropriate as determined by Falls City EDGE in its sole and conclusive determination. All entries must be submitted in English. If entries are not in English they must include English subtitles. Students should keep at least one copy of their video. Falls City EDGE is not responsible for any video that does not upload properly.